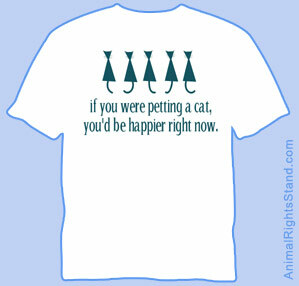 Want to let the world know how you feel about animals? 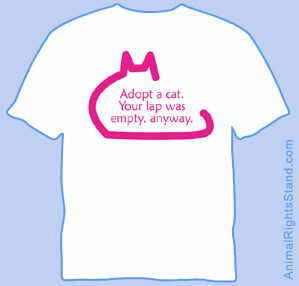 There's no better way than to fill your world with our sassy animal rights gear. Find a design you like, and get it on apparel, magnets, bumper stickers, mousepads and more. These are just a few of the designs available. Click here to see all our designs. All of our designs are exclusives, and all can be purchased on a variety of items. Shop at our online store now! Check Out These Featured Items! 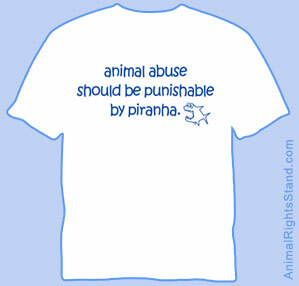 © 2009 Animal Rights Stand. All Rights Reserved.